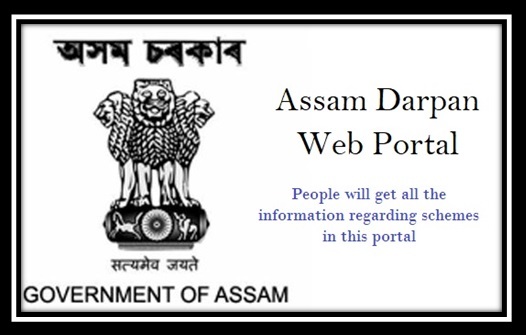 Assam state government has taken the Digital India initiative one step forward by launching a new web portal namely Assam Darpan. It is said to be a dashboard to let people know the progression of all the schemes and related activities. Assam Chief Minister Shree Sarbananda Sonowal has stated while launching the portal that this will be a way of letting common people know how and in which direction the social welfare schemes in the state are performing. Motto People will get all the information regarding schemes in this portal. Portal: The portal will have all the details of social welfare schemes, run by state and central. Also there will be key features and progress of the schemes will be mentioned to let people know about them. Developer: The developer of this portal is National Informatics Centre, Ministry of Electronics and Information Technology. It is said to be a major part of the initiative called Digital India. Objective: This portal has launched to make things easier for the people. It will be much transparent and open for the people. The main objective for launching the scheme is to see the effect of the schemes on people. Benefits: Along with knowing the details of key schemes, this portal will help to know the consequences and improvements of the schemes after implementation. Also this portal will help the authority to take immediate decisions regarding the same. Phase: In the first phase the portal will have 15 key schemes. These schemes include state and central run schemes. Also the portal will make possible to present the indicators of the schemes. Schemes in the portal: Schemes that are listed in the portal are MGNREGA, e-District Services, Deendayal Gram Jyoti Yojana, National Rural Livelihood Mission, Apun Ghar, Amar Dukan, PMGSY, & Land records, Registration, Fasal Bima Yojana, PMUY, National Food Security Act, Swacch Bharat Mission, Chief Minister Diagnostic Free Service and Vahan. Neeta Verma, NIC’s Director General has said that same kind of portal in other states have succeeded earlier. With such portals authorities as well as people of the state have gotten much clearer idea of implementation and improvement of the schemes with passing time.